Focusing on these 85 candidates could improve our chances of finding life beyond Earth. During the 1960s, Freeman Dyson and Nikolai Kardashev captured the imaginations of people everywhere by making some radical proposals. Whereas Dyson proposed that intelligent species could eventually create megastructures to harness the energy of their stars, Kardashev offered a three-tiered classification system for intelligent species based on their ability to harness the energy of their planet, solar system, and galaxy, respectively. 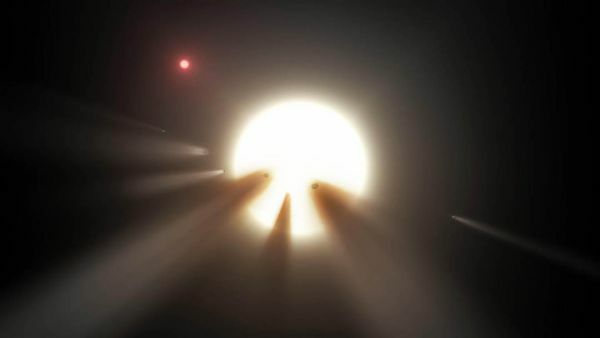 For example, in the summer of 2015, a team of astronomers announced that they found what might be an indication of an alien megastructure around Tabby’s Star (KIC 8462852). However, they were quick to point out that any number of possibilities could explain the strange dimming pattern coming from the star, and subsequent studies offered even more plausible explanations — such as the star having consumed a planet at some point in its past. To this, Osmanov has argued that the problem is that we are looking in the wrong places. Last year, he wrote a research paper in which he ventured that an alien super civilization — i.e. one that was consistent with a Level II Kardashev civilization — would likely use ring-like megastructures to harness the power of their stars. 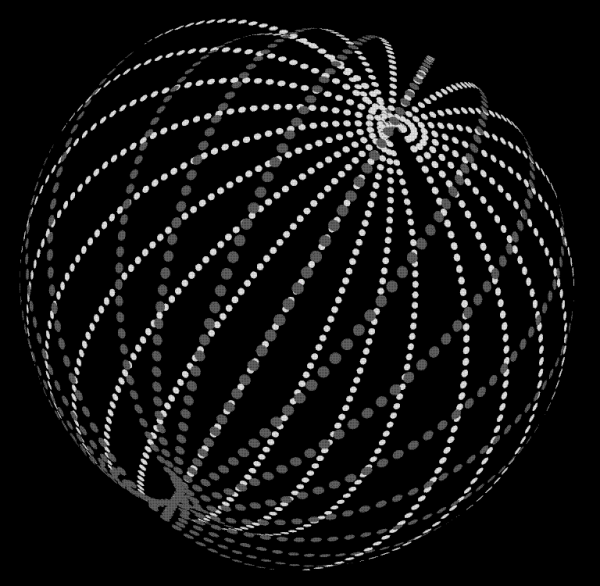 This is in contrast to the traditional concept of a “Dyson’s Sphere,” which would consist of a spherical shell. 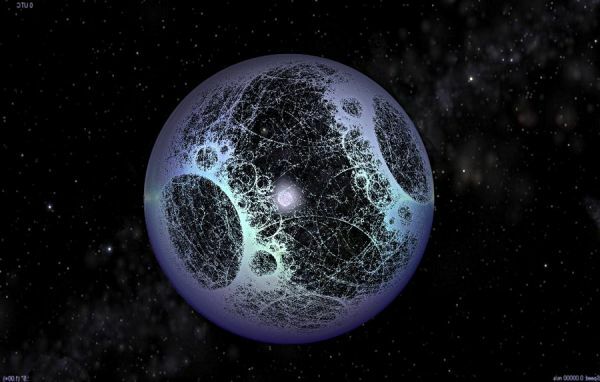 A couple of years earlier before publishing the paper of Kardashev, the prominent physicist Freeman Dyson has suggested that if such superadvanced (in the terminology of Kardashev, Level-II) extraterrestrials exist, for increasing efficiency of energy consumption they can construct a thin spherical shell with radius ?1AU surrounding a host star (Dyson 1960). It has been argued that for such distances the sphere will be in the so-called habitable zone (HZ) and therefore the sphere will have the temperature of the order of (200 – 300 K), making this object visible in the infrared spectrum. From this, Osmanov concludes that modern IR telescopes — such as the Very Large Telescope Interferometer (VLTI) and the Wide-field Infrared Survey Explorer (WISE) — would have the necessary capacity to monitor nearby pulsars for signs of alien megastructures. He further concludes that for this purpose, these telescopes would have an effective range of up to 200 parsecs (~652 light years). We have considered the sensitivity of VLTI and by taking into account its higher possible angular resolution, 0.001 mas, it has been shown that the maximum distance ~0.2 kpc leads to the IR spectral density of the order of 7.4 mJy, which in turn, can be detected by the VLTI. We have argued that by monitoring the nearby zone of the Solar System approximately 64 pulsars are expected to be located inside it. Beyond these distances, up to the kiloparsec range (about 3260 light years), the angular resolution of these telescopes would not be enough to detect the structure of any rings. 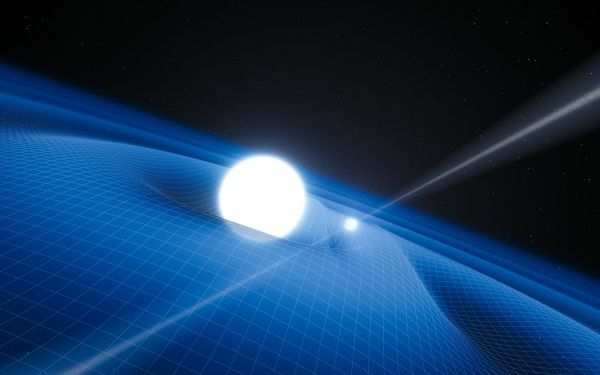 As such, finding megastructures at this distance would require telescopes that can conduct surveys in the UV band — which corresponds to the surface temperatures of neutron stars (7000 K). However, this would have to wait upon the development of more sensitive instruments. So while the range would be limited, the opportunities for testing this hypothesis would not. All told, between 43 and 85 candidates exist within the observable volume of space, according to Osmanov’s estimates. And with existing IR telescopes — and next-generation telescopes like the James Webb Space Telescopes — up to the task, some surveys could be conducted that would yield valuable information either way. Nevertheless, the search for intelligent life remains a very fascinating field of study, and a necessary one at that. Not only would finding other examples of life in our Universe put to rest one of the most burning existential questions of all time — are we alone? — it would also allow us to learn a great deal about what other forms life could take. Is all life carbon based, are there other possibilities, etc? We would like to know!